Just a quick note to thank Team Twickenham for another exciting day out for those of us watching from the roadside (i.e. me, V and Mac) and once again a big congratulations to Natalie who was pipped to 2nd on the finish line. In the 3rd race of the Women's team series we mustered Natalie Creswick, Susie Scorer, Alexander Tyrer, Colette Abel, Jo Foster, Jody Conibear, Gabi Drozna, and Tina Reid to race in the beautiful rolling hills of Derbyshire. Lap 1 of 5 of the 50 mile very rolling course set off at a blistering pace (urged on by Natalie and Alex who were at the front of the pack) and had Jo collecting first time team series racers Tina, Gabi and Colette, depositing them back into the bunch, unfortunately to her demise as she then was unable to ride on after her heart rate went off the scale. Jody was also left suffering after visiting Russia and finding the food not to her agreement so she was forced to retire. 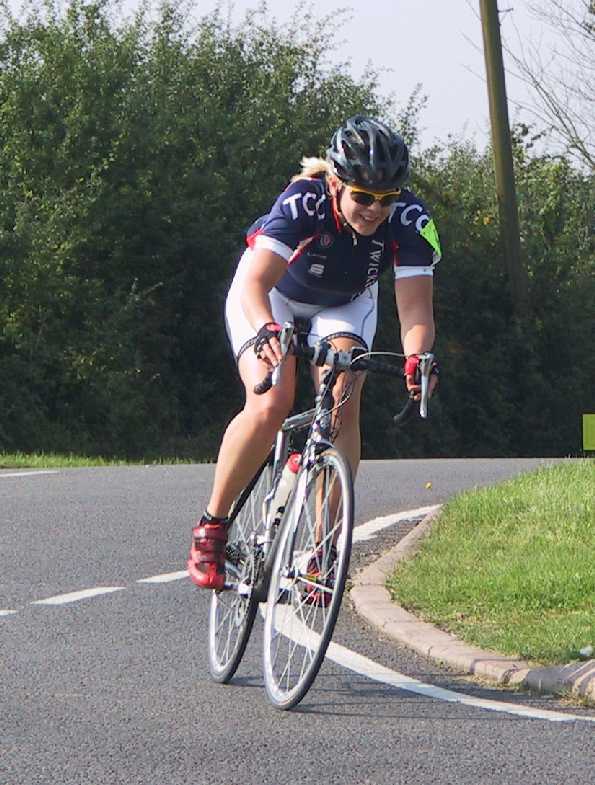 On driving round the other way we saw Susie hanging in to a group that had splintered from the lead bunch and much to our delight, we saw Colette riding in her first ever road race, looking very comfortable in a group of 4 that were working well together. Then there was Gabi also working well in a group of 3 with Tina riding on her own down the road. And so the order stayed for the rest of the race but there was more action to come as on lap 2 we saw Natalie and Alex drilling from the front. But on lap 3 where was Alex? 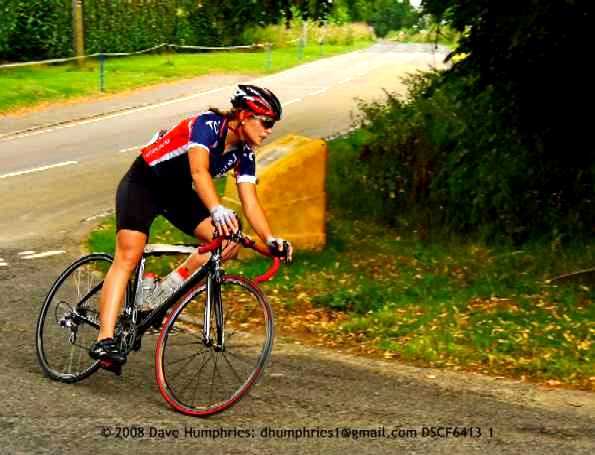 Apparently she had made an incorrect gear selection on one of the hills and got dropped, then in her angst to get back on, she missed the turn and ended up in an Industrial Estate and she then had to find her way back to the race re-joining after Susie! Then on lap 4, joy of joys we saw a break with a dark blue shirt with the tell tale white sleeve on the front - could it be Natalie making a break - yes it is - she's riding off the front up the hill but dragging 2 riders with her. We waited anxiously for her to pass on the final lap where we saw the break was well established but now there were only 2 riders - oh how we shouted jumping up and down and screaming at Natalie to "go go go" but Dani King (who rode for Twickenham last year but now riding on Nicole Cooke's Vision 1 Team) was riding right with her. Natalie valiantly tried to shake off Dani, but Dani used her experience to pounce 10m before the line and beat Natalie by a few feet - darn it! Full results to follow but we think Susie came in about 20th with the rest some way down the field. 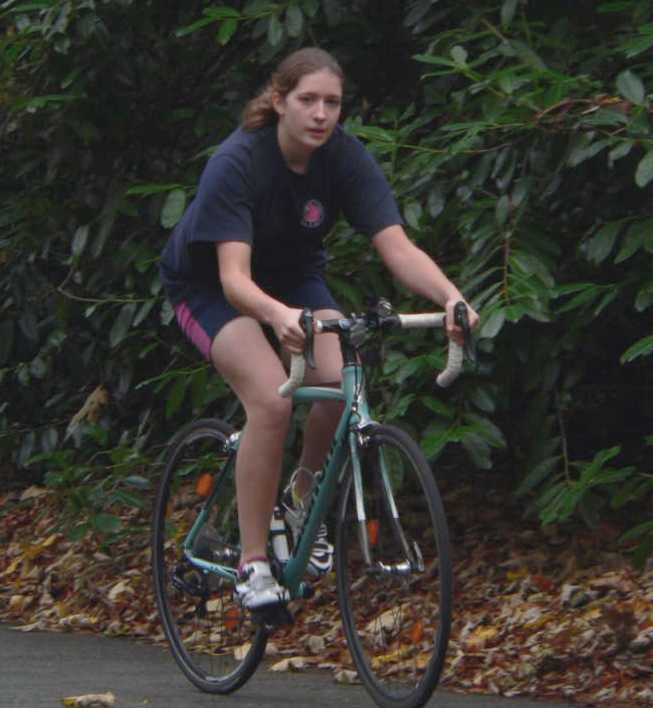 A special mention to Gabi who in her first road race on the road (rather than her Thuxton and Milton Keynes experiences), it was the furthest she had ever ridden on a bike! All in all a very good day for Team Twickenham - we think we have done enough to move up from our current 6th position out of 17 teams so our steady climb up the league table is looking good with 5 races to go. 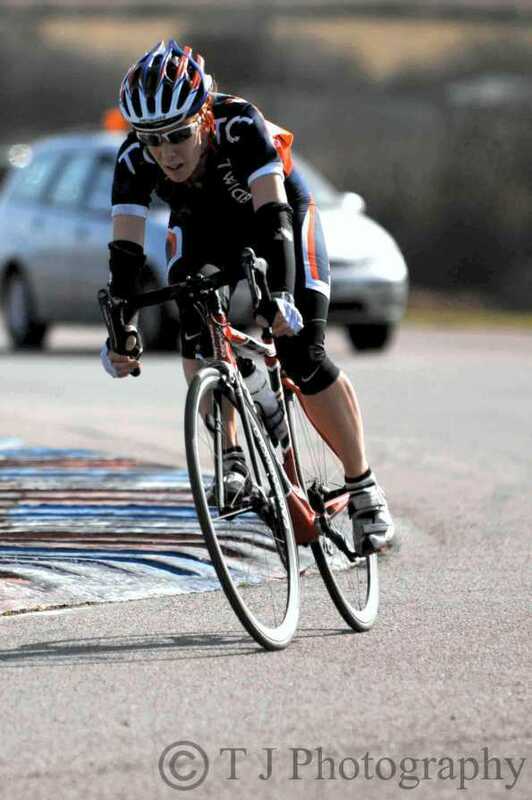 We are thrilled with the performances of the team to date given that most of the squad are inexperienced, many riding road races for the first time this year so thank-you to everyone that had contributed so far and also to those that haven't ridden yet. Especially as our objective this year is to get as many girls participating in the races as possible rather than achieving a good placing.